Well of course the biggest news was the death of Michael Jackson. But there were some nice things to enjoy as well fortunately. 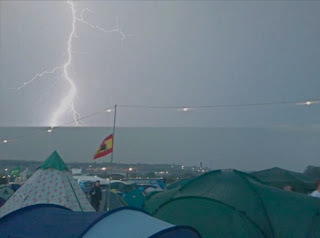 Glastonbury had a killer line-up with some epic moments. And there are some scribbles about Dirty Projectors and Beastie Boys. Their van flipped while on their way to Toronto. Fortunately they are all alright and no-one was seriously injured. Beastie Boys have revealed the name for their new album: "Hot Sauce Committee Part 1". It will be released September 15.